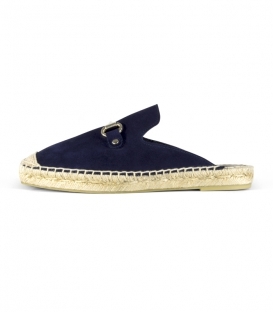 Valencian espadrilles with esparto wedge made of metallic blue linen for women. Valencian espadrilles with jute wedge heel for women ideal to be combined with any type of look, whether romantic, tropical, urban, hippie, and even with some dress more formal cut. Its careful confection and comfortable fit, make these espadrilles wedge with jute heel for women, a must-have footwear in any traveling suitcase worthy for this summer. A sophisticated and elegant design inspired by the Caribbean. Ideal to wear in summer, fall and spring, although if you live in a warm region, you can fit them throughout the year. The wedge espadrilles with jute heels for women are extremely versatile, as they can be combined with almost any garment or look. Enjoy idyllic bike rides through the countryside or the city wearing your espadrilles wedge with jute heel for women. Live the DOROTHY MAMBO ™ experience! 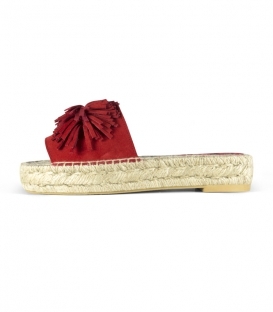 Buy the authentic wedge espadrilles with jute heel for women made in leather by skilled craftsmen in Spain. It was never so easy to buy wedge espadrilles with jute heel for women online. If you are looking for some inspiration or want to see how they feel our espadrilles wedge with jute heel for women. Access the outfits section of our official blog. In this section you can find various proposals that will help you combine your clothes with our wedge espadrilles with jute heel for women. 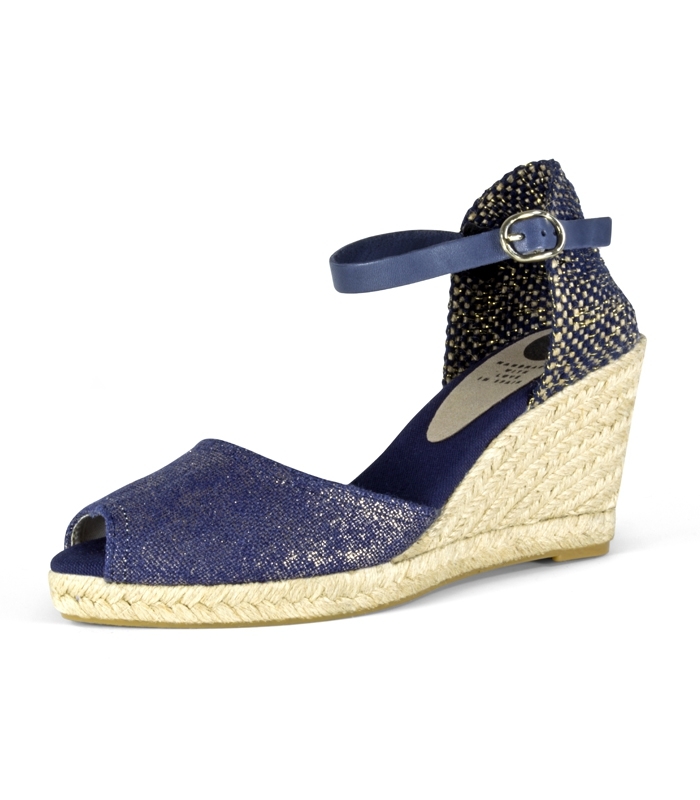 The wedge espadrilles with jute heel for women, require a very simple care. It is not advisable to wash by machine or with an excessively moistened cloth. This type of footwear for women requires a dry cleaning or with very little water. Only with the help of a dry cleaning product for fabrics that is neither corrosive nor discolored. Apply a little dry cleaning product or simply clean water to a cloth. Do not wet the cloth excessively. During the cleaning process it is important to try not to wet the jute or natural esparto fiber excessively. Since this can lose some elasticity. If you have any questions regarding the process of buying your espadrilles wedge with jute heel for women. Do not worry, it is a very simple and safe process. When buying Alpargatas wedge with jute heel for women online. We have a customer service during office hours: Monday to Friday from 9 - 14 hrs and from 4:00 - 7:00 p.m. Calling the telephone number (+34) 966 09 42 42. Or sending an email to hola@dorothymambo.com. We solve any type of doubt quickly and efficiently. 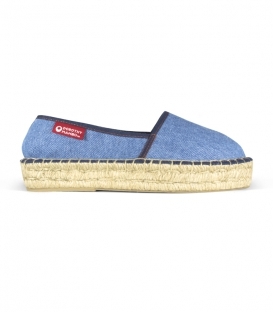 As for what refers to the payment of your espadrilles wedge with jute heel for women. We have different payment methods adapted to the needs of each of our customers. You can make the payment through a PAYPAL account, by bank transfer or by credit or debit card. All forms of payment are completely secure.